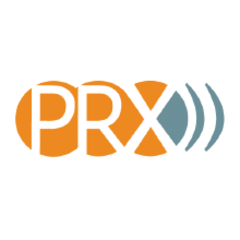 Pieces and producers highlighted in PRX's Upfronts Webinar. An hour-long journey into the world of clandestine cooking, kitchen rituals and traditions. Tales of kitchens that suddenly pop up, kitchens that stay underground to survive, kitchens that are the keepers of a culture. Cooking traditions that spring from the most unlikely moments of history. Hosted by Academy Award-winning actress, Frances McDormand. We travel the country and we travel in time in search of hidden kitchens and little-known corners of American food culture. From the Crossroads in Mississippi to the Birth of Rice-a-Roni in San Francisco. From the Sheepherder's Ball in the Basque Country in Boise to the Breadbasket of California's Central Valley. We hear kitchen stories and music from Michael Pollan, Rosemary Clooney, Robert Johnson, Super Chikan and more. Entertaining, surprising, and soulful, a Kitchen Sisters' portrait of American life through food. Kibbe at the Crossroads: A Delta Kitchen Vision: A story from the crossroads, in Clarksdale, Mississippi where barbeque, the blues and a kind of Lebanese meatloaf, meet. Weenie Royale: Many hidden kitchen traditions come out of dark times, when surviving means adapting. We peer into a corner of America's not-too-distant past—the internment camps of World War II, where more than 100,000 people of Japanese descent—most American citizens—were incarcerated without trial for the duration of the war. Their homes, livelihoods, traditions and food taken from them. The Kitchen Sisters explore the impact of the internment on Japanese cooking and culture in America. The Sheepherder's Ball: Basque people fleeing Francisco Franco's dictatorship in Spain flocked to America. Many took jobs herding sheep across the West. We explore the world of Basque sheepherders and their outdoor, below-the-ground, Dutch oven cooking traditions. Hidden Kitchen Mama: Kitchens and mothers. The food they cooked, or didn't. The stories they told, or couldn't. Breadbasket Blues: Travel down Interstate 5, straight into the agricultural heart of the California Central Valley, the nation's breadbasket, where the rates of juvenile obesity, type 2 diabetes and malnutrition are some of the highest in the country. The Kitchen Sisters explore some of the hidden causes of this epidemic and the local kitchen visionaries grappling with it. The Birth of Rice-a-Roni: Sometimes we find the story. Sometimes the story finds us. Nikki sat down next to this one at an NPR event in the Napa Valley. We were onstage interviewing Michael Pollan, author of The Omnivore's Dilemma. The topic was corn, and we played a little excerpt from our Hidden Kitchen story on the 1930s kitchen visionary who invented the Frito. Over dinner, the 80-year-old woman seated by Nikki confided that she too had a hidden kitchen, and began to tell the complicated saga of the birth of Rice-a-Roni. And we take a little detour to visit Mozart's Hidden Kitchen. Hidden Kitchens: The Raw & The Cooked. Stories from across America about the transformative power of food. With host, Academy Award-winning actress, Frances McDormand. "Generation Putin" is an hourlong special on young people and politics in the former Soviet Union. Every year, more than a million kids drop out of school. Without a diploma, they will have a tough time succeeding. But the problem starts much earlier than high school. This hour, we'll ask the big question: What works? Originally created for American Graduate Day in September, this special continues to be a timely look at education in America. What a year was 1913! Many have called it the true beginning of 20th century culture. From New York, where the first large-scale show of modern art alarmed viewers, to Vienna and Paris, where music by Schoenberg and Stravinsky sparked audience riots --- it was a year of artistic upset and audience apoplexy! A hundred years later, WNYC’s Sara Fishko and guests tell the story of this Mad Modernist moment of sweeping change, and the ways in which it mirrors our own uncertain age.